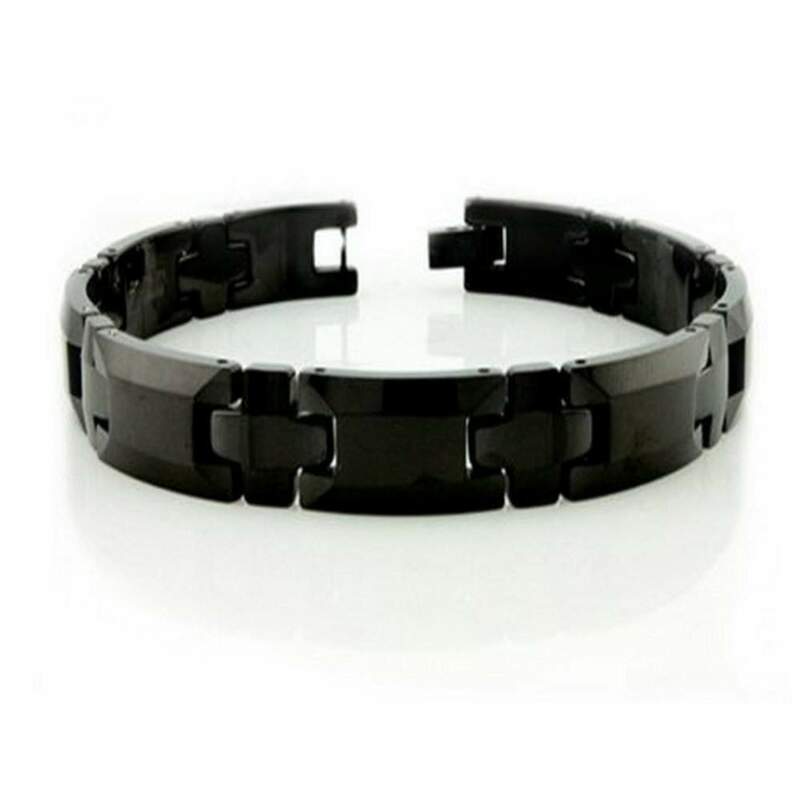 Subtly striking, this men's tungsten carbide bracelet is full of stylish details. Alternating rectangular and cross links have a high polished black ion plated (IP) coating. 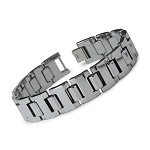 Measuring 9mm by 8.5 inches, this designer tungsten bracelet for men is finished with a fold-over clasp.